Bob Birrer is a Queenslander who, during his working life, was a manager in the aged care industry and an organisational development, change management and culture change consultant. 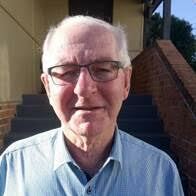 When he retired, Bob moved to Kempsey, and joined Kempsey Macleay Valley U3A four years ago. During that time, he has operated as an ordinary member on the management committee, Vice-President and President. He was appointed as the Regional Representative for the Mid North Coast Region last month. We welcome him to the position and look forward to meeting him at our 20th anniversary celebrations. Serve as an independent member of the Committee of Management. Be a conduit between the Committee and the member U3As in his region, providing information and raising matters of concern. Provide advice and assistance on U3A matters to groups in his region, upon request, or to guide them to where they might obtain more precise information. Assist new groups in the region to become established. The Regional Representative is encouraged to become a name and a face that U3A members in the region can recognize, and to be approachable. Bob plans to meet with the Mid North Coast U3As at least annually, where practical and feasible. This can be arranged collectively or individually. Mid North Coast Region U3As, from north to south: Coffs Harbour, Nambucca Valley, Kempsey-Macleay, Port Macquarie-Hastings, Manning Valley, Forster-Tuncurry, Gloucester.